Blockchain has completely changed the way we view our financial system. It is not wrong to say that it is web 3.0, as the tsunami it has bought with itself, is overwhelming and empowering. The biggest impact of blockchain has been seen in the financial sector, but today it seems impossible to find any sector which is not influenced by the innovative capabilities and applications of the blockchain. 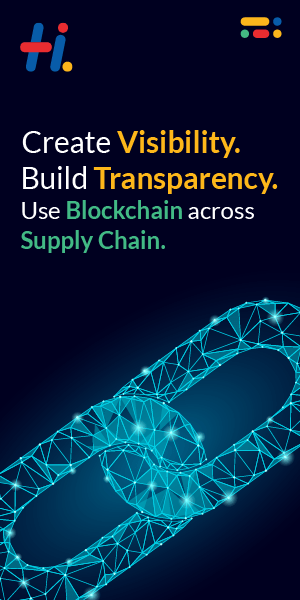 From agriculture to aerospace every field has been enveloped with the overwhelming capabilities of the blockchain. The present decade of blockchain development has mostly been associated with cryptocurrencies, altcoin, security tokens and digital assets. This has made blockchain synonym with the crypto world, but the truth is that it is just an application. The regulators in the USA financial market have seen the rise of blockchain and have felt its influence and permanence. The same is true for blockchain proponents; America to them is the biggest business opportunity and they cannot ignore the world’s biggest economy, an education hub, financial capital and much more. U.S. regulatory agencies adapt according to new market booms and innovations. It seems that the void of rules for cryptocurrency and blockchain practitioners is over with the agencies planning to come up with regulations for the crypto market. Let us look at the various organizations and the initial talks about these regulations which might change the way crypto market functions. Securities and Exchange Commission is a body which governs all security offerings and looks over to all rules and regulations related to issuance, sale, and trading of securities, including those concerning filing requirements. SEC has still not legalized the trade in cryptocurrencies and related assets but has expressed concerns over offer and sale of tokens. SEC has shown strong determination to counter token frauds and ICO misuse and is willing to take action against ICO sponsors. Commodity Future Trading Commission has been created to regulate future and option market. CFCT is a regulatory organization that overlooks registration and compilation by future exchanges, swap dealers, and participants. Recently it announced that the organization has designed some virtual currencies as commodities and the frauds and misconducts involving tokens traded in interstate commerce. They have also reiterated that the regulation of commodity falls under its jurisdiction. CFCT has also issued specific guidance to exchanges and clearinghouses when listing a virtual currency derivative, focusing on (a) enhanced market surveillance; (b) coordination with CFTC staff; (c) large trader reporting; (d) outreach to stakeholders; and (e) risk management along with enhanced cooperation with state regulators. The organization has allowed the Chicago Mercantile Exchange and the Chicago Board Options Exchange to launch Bitcoin future. Financial Crime Enforcement Network is a part of U.S. Department of Treasury with the aim to protect the U.S. from money laundering, illicit trade and to maintain national security. FinCEN has announced that it is going to apply regulations to those who deal with ICOs. FinCEN has already taken actions and assessed a fine of $110,003,314 against a cryptocurrency exchanger, for violation of regulations concerning anti-money laundering and suspicious activity reports. The federal government’s prime criminal prosecutor has taken many steps to ensure a fraud-free functioning of ICOs and cryptocurrency market. DoJ has been dealing with the issue of cryptocurrency for a long time and after witnessing that the future of cryptocurrency is inevitable, it has formed a Cyber Crime task force to develop a comprehensive strategy for the cryptocurrency. FTC is a consumer protection firm and it encourages competition among rivals. A blockchain working group has been framed by FTC to identify fraud ICOs and schemes to ensure consumer protection. In recent times FTC has taken action against many individuals and organizations because of their involvement in fraudulent schemes. Several other organizations like Financial Industry Regulatory Authority (FINRA), U.S. State Department among others are striving hard to ensure a better future for the American economy and a flourishing financial market. The goal is to promote a budding futuristic technology but not at the cost of crimes and frauds.